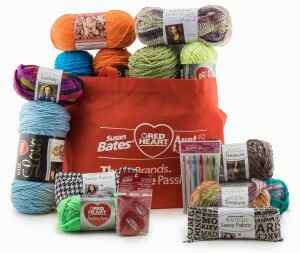 There are some fantastic prizes up for grabs including this fantastic collection of yarns and goodies from Red Heart. There are almost 30 vendors taking part – Crochet by Jennifer, Crafting Firends, Posh Pooch Designs, You Drive Me CrAfTy, Sandy’s Cape Cod Originals, Little Luvies, Simply Collectible, Creative Hats and More, Aussie Girl Creations, Perfect Memories Boutique, Illuminkniti Designs, Hatch-ed With Love, Danyel Pink Designs, Katie’s Crochet Goodies, Articles of a Domestic Goddess, Susie J Crochet, Maloosa, Chauncey’s, The Hooked Haberdasher, Too Yarn Cute, Playin’ Hooky Designs, Keep Me In Stitchez, Two Girls Patterns, Thomasina Cummings Designs, Gramma Beans Handmade Gifts, Bowtykes, Sincerely Pam, SnApPy ToTs, A Crocheted Simplicity and Pattern Paradise! The giveaway runs until Sunday September 21st. Full details of the prizes being offered and any terms and conditions can be found here. 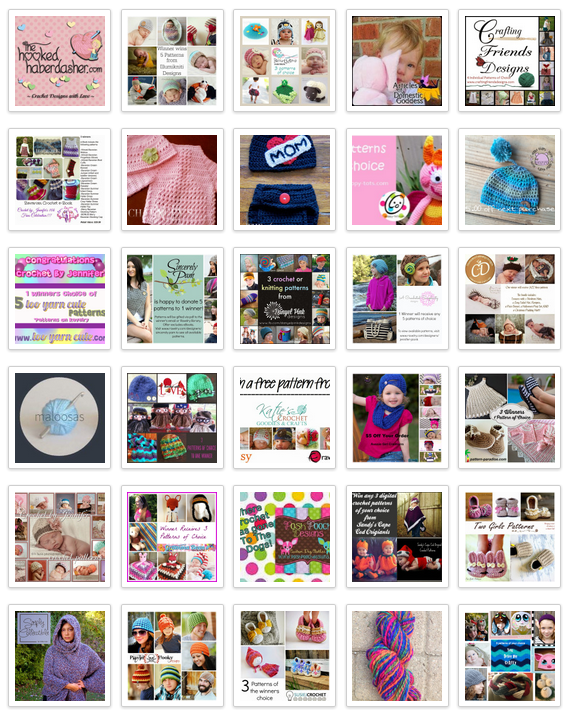 This entry was posted in Giveaways on September 13, 2014 by Thomasina Cummings.